* Mariell's dazzling bridal comb will illuminate your wedding hair style with hundreds of Swarovski crystals in this vintage style comb. 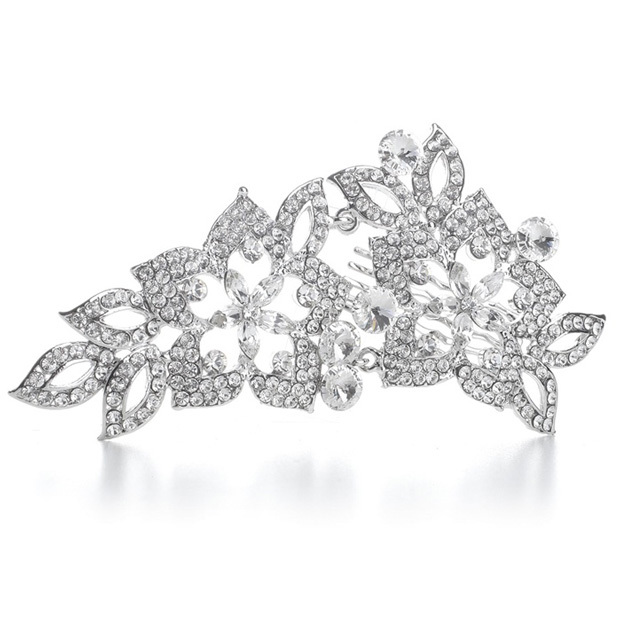 * This designer inspired headpiece abounds with inlaid crystal petals, shimmering round Swarovski rivoli stones and marquis shaped flowers in lustrous silver rhodium plating. * Our stunning wedding hair accessory is 2 1/2" w x 4 1/4" h and has a slender 1 1/2" h comb. * This brilliant wedding comb will add a touch of glamour to your special day.